These regulations compiled with low inflations proposals like deduction in profit for affordable housing construction, interest subsidy from first time home buyer and reduction in overall interest rates would outcome the very contours of real estate 2017. With the recent Demonetization the affordable housing segment is benefited as compared to the luxury housing segment as this segment comes under that category of people who are dependent on home loans for transactions. Fall in interest rates would further add on to the growth of affordable housing which would be visible more in the longer term. “Policy interventions like RERA, amendments to the Benami Properties Transactions Act, Clarifications on REIT and GST are bound to change the very face of the realty sector. The sector had perception failure till now, but these regulations have been instrumental in instilling more transparency in the sector and confidence among the buyers”, says Atul Banshal, President- Finance and Accounts, M3M. It is also seen that with the introduction of Demonetization along with the policies like RERA unfair trade practices with be negligible and it will bring professionalism in the long run. From the view point of Ssumit Berry, Managing Director, BDI Group, “2017 will be the year of implementation and digitization for the realty sector.” With the implementation of RARA and SGT bills builders will find more opportunity in investing in real estate segment. Fall in interest rate would further give added opportunities to the affordable housing segment to invest in real estate properties. It is clearly seen that affordable housing segment is winning the race as compared to the luxury housing segment. As they are largely supported by the banks and other financial institutions for providing loans and other financial assistance also black money transaction is almost negligible unlike the luxury housing segment. Further to this Rahul Singla, Director, MAPSKO adds on by saying, “Going towards the real improvement and perking up of the sector revival in the economy, reducing inflation and improving regulatory environment in the real estate sector, coupled with schemes like Smart Cities, AMRUT and ‘Housing for All by 2022’, are beginning to have a positive influence”. 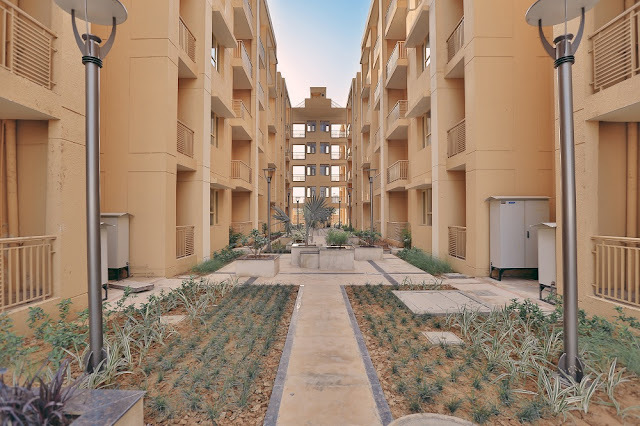 The above scheme proves to be beneficial for the affordable housing segment through credit linked subsidies.Reduction in interest rates and other financial assistances from the financial institutions largely help the affordable housing segment. Ravish Kapoor, Director, Elan Group, expresses his views by saying, “For the Indian real estate sector, 2016 was a big year. The policy reforms like RERA, Benami Transaction Prohibition, REITS, GST and Demonetization have considerable potential to change the way real estate sector works. The reforms are set to bring transparency and build a robust ecosystem. There will be a definite advantage to responsible developers and a game changer for others”. “As far as demonetisation is concerned, short-term pain is inevitable when we look for an eventual long-term cure for the disease.” says Vineet Taing - President, Vatika Business Centre. It is largely seen that year 2017 would be a year of better opportunities for commercial development as we’ve finally taken a major step to get rid of the state of policy paralysis that our country has been struggling with for a long time. Overall we see that the Real Estate sector is showing remarkable growth as compared to last year. By introducing policies namely, RERA, Benami Transaction Prohibition, REITS, GST there is a long-term industrial growth and it also impacts on ease of business by transparency at work. Consequently, we believe that the Indian real estate sector will emerge stronger, healthier and capable of long periods of sustained growth, provided adequate policy/regulatory support.